History: 18 year old female with pelvic pain. 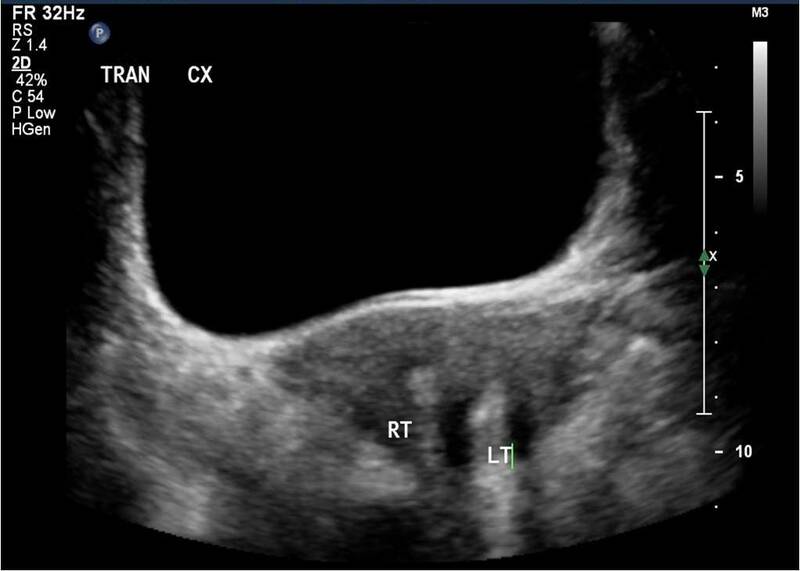 Uterine Didelphys: Transverse ultrasound image through the pelvis shows two separate widely splayed uterine horns, which may be seen in both uterine didelphys and bicornuate uterus. 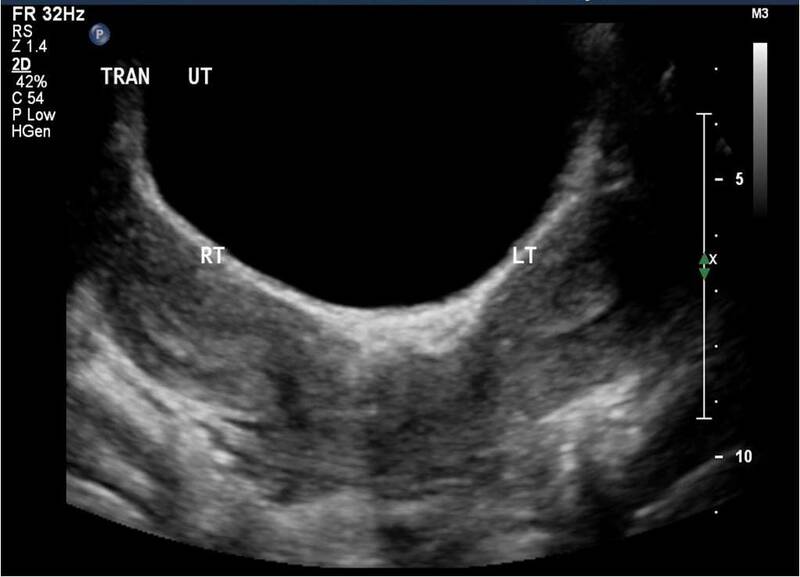 Uterine Didelphys: Transverse ultrasound through the pelvis in the same patient at a more inferior section shows two separate cervices, defining this abnormality as a uterine didelphys. This is the classic appearance of uterine didelphys. Mullerian duct anomalies are classified according to the American Fertility Society system here. Occasionally a uterine horn can become obstructed and cause hematocolpos, or hematometrocolpos.